A young, Memphis-based company has expanded out West as it works to scale up its upscale camping facilities. RVC Outdoor Destinations has acquired a campground in Colorado Springs, with plans to renovate and rebrand it under the RVC "flag," the company announced Tuesday. The 200-acre grounds, now called Garden of the Gods Campground, is just west of Colorado Springs and has views of the popular Pikes Peak. RVC Outdoor Destinations provides outdoor resort destinations with upscale amenities, particularly for travelers in recreational vehicles. 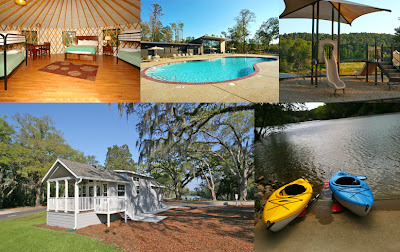 But RVC also provides yurts, cabins and cottages. Last year, RVC opened its sixth site -- and the nearest one to Memphis -- called Catherine's Landing in Hot Springs, Ark. It also has locations at Pine Mountain, Ga., Live Oak Landing near Destin, Fla., Mountain Springs near Asheville, N.C., and two at Carrabelle Beach, Fla. The company experienced a "great" first quarter, is receiving "extraordinarily good" guest-survey scores, and has seen "a lot of growth" in visitors to its website, rvcoutdoors.com, president Andy Cates said Tuesday. "We're excited and enthused, but still careful," he said. Garden of the Gods had been a top RV and outdoor lodging destination in the Colorado Springs area, but had been bank-owned since 2010, according to a company news release. RVC will immediately start renovating the property, including improving tent sites, resurfacing pools, improving existing RV sites and adding eight new ones. 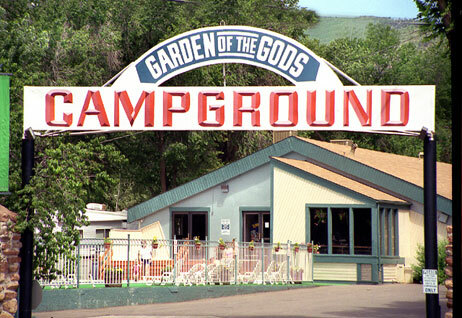 The facility's name will be changed to Garden of the Gods RV Resort. "The Garden of the Gods acquisition is a terrific addition to our portfolio of upscale outdoor vacation properties," Cates said in a release. "The upgraded camping experience we offer is resonating with guests. It fits with what a lot of people are looking for in a vacation these days because it is unique, affordable and allows guests to enjoy some of America's most beautiful natural landscapes with amenities that truly make it a destination experience." The upscale amenities include concierge service, dog parks, modern swimming pools, boating and fishing rentals, beer and wine bars, and free Wi-Fi and cable. RVC is investing a lot of money per unit, so it must scale up to a network of dozens of facilities around the nation to make its business model work, Cates said last year. "We're looking at a couple of properties for joint ventures," he responded Tuesday when asked about future expansion. "... We are focused West and refocused, too, on Florida now. We've got the Gulf Coast and are looking to get further central and south" in Florida, Cates said. The company's strategy includes working to segment the industry, much like the categories of hotels from lower cost, lower service (Motel 6) to higher cost, higher service (Hilton). "It's inevitable that it happens," Cates said of the segmentation. "I think we're helping agitate to accelerate that evolution. ... We want to be the leader in the Hilton niche that now doesn't exist." A Memphis-based outdoor resort properties provider is looking westward and upward for expansion. RVC Outdoor Destinations has acquired the Garden of the Gods Campground in Colorado Springs, Colo., for an undisclosed amount. The property is located near the entrance of the Garden of the Gods visitor center and has views of Pikes Peak, the most visited mountain in North America. It has about 200 camping sites and sits on 13 acres. "It's a great base camp for things to do in that area," Andy Cates, president of RVC Outdoor Destinations, said. "We've wanted to grow west and it's the right place to start that expansion." In addition to its newly acquired Colorado property, RVC currently operates seven properties in Arkansas, Georgia, Florida, and North Carolina. RVC will begin renovations soon, including an overall upgrade of the property and its amenities. The company will spend more than $200,000 to enhance tent sites, resurface pools, improve existing RV sites, improve landscaping and add eight new concrete RV sites. The site will remain open during the improvements. The company could spend another $200,000 or more on additional improvements based on community support. 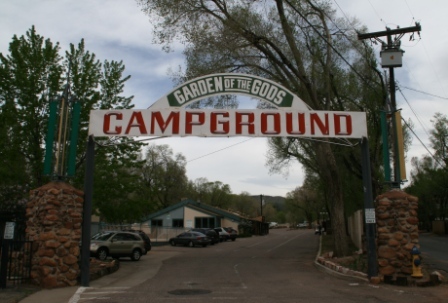 In the coming weeks, RVC will rebrand the property to Garden of the Gods RV Resort. RVC provides a variety of lodging options — including RV sites, cottages and yurts — all set within natural environments. The properties have amenities such as concierge service, off-leash dog parks, modern swimming pools, boating and fishing rentals, coffee, beer and wine bars, free Wi-Fi and cable and gift shops. The company is looking to continually grow, according to Cates. “We’re also trying to disrupt a meaningful industry which hasn’t seen meaningful change in decades,” he said. The RV and outdoor lodging industry currently follows a model similar to hotels years ago: It’s mostly mom-and-pop operations. “When you look at that Hilton and Marriott niche which we’re effectively creating, that niche is just now becoming clear to the consumer and our guest,” Cates said. 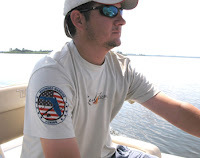 Founded in 2007, RVC Outdoor Destinations develops, owns and operates its hospitality properties. Don't Miss Pine Mountain RV Resort's "Cruisin Cars on the Mountain"! Pine Mountain RV Resort is hosting “Cruisin’ Cars on the Mountain” car rally on June 16th and 17th on the resort’s property. Day passes are $5 per adult and $3 per child. Guests do not have to be staying at the resort to come. The rally is sponsored by Pine Mountain RV Resort. Cosponsors include local businesses and vendors from the area: Sun South John Deere of LaGrange, Georgia; Wild Animal Safari of Pine Mountain, Georgia; Southern Carts of LaGrange, Georgia; and others. Entertainment includes live music; catered food; unique vendor booths of various local businesses; door prizes and raffle; children’s activities and rides; poker run; and a display of various cars including antique, classic and muscle. A portion of the funds raised from the raffle tickets and entrance fees will be donated to Our Fallen Soldier organization, dedicated to the remembrance of soldiers that have lost their lives in the line of duty. The organization assists those families that are grieving. More specifically, Pine Mountain RV Resort will be sending the donations to the Fort Benning chapter in Columbus, Georgia. Guests and vendors can preregister for the event by calling 706-663-4329. Specialty car owners will receive a special admission price, please call for details. Pine Mountain provides overnight accommodation options: RV sites, cabins and yurts. Guests should reserve ahead! For more information on Our Fallen Soldier, visit www.ourfallensoldier.com.